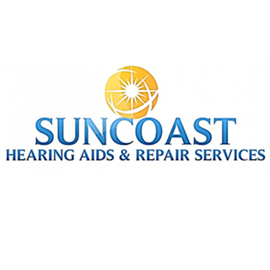 Suncoast Hearing Aid located in Orange County. 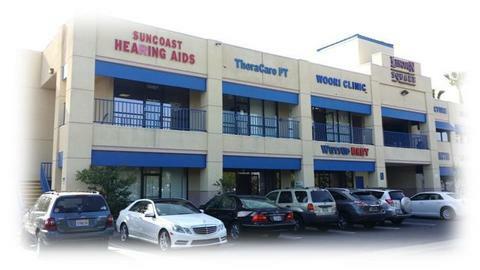 Our caring and professional service providers are experts at helping our patients with hearing losses. Our friendly and knowledgeable licensed hearing aid professionals can provide a hearing instruments and evaluations test, cleanings, batteries, and service. Today's technological advances allow us to continue the journey we started 29 years ago and improve the lives of as many hearing impaired people as we can. We want to help people live life to the fullest and embrace technology that allows them to do so. We offer a complete line of hearing devices featuring the latest advanced technology hearing aids, miniaturized hearing aids, behind the ear hearing aids and digital programmable hearing aids. 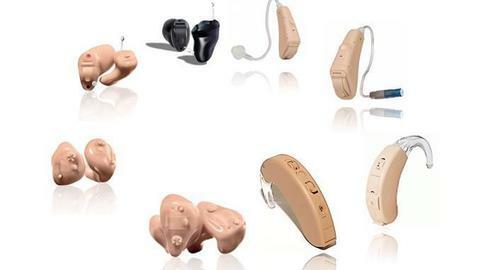 Come to our office to see our selection and all of the hearing aid styles we have available. We serve customers in the cities of Garden Grove, Buena Park,Cypress, Anaheim, Stanton, Huntington Beach, Santa Ana, Fountain Valley, Newport Beach, Westminster, Irvine, Tustin Orange, Aliso Viejo, Riverside, Mission Viejo, and many more throughout Orange County & Los Angeles County. 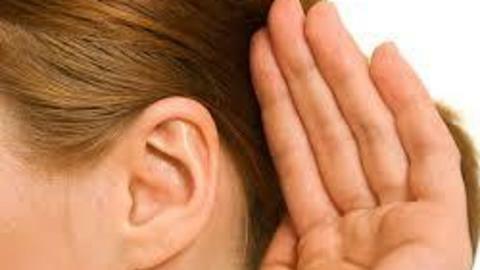 When Will We Have a Cure for Hearing Loss? In February, 2012, AHRF Board Chairman Richard Muench and I attended the ARO (Association for Research in Otolaryngology) meeting in San Diego, California. While there, we had the opportunity to meet with Allen Ryan, PhD, Director of Otolaryngology Research at the University of California, San Diego. Dr. Ryan’s lab focuses on hair cells, spinal ganglion neurons (SGNs) and drug delivery methods for getting medicine to the inner ear. As we got talking, we began discussing the big question of: when can we expect a cure for hearing loss? To shed light on this question, I interviewed Dr. Ryan; Alan Cheng, MD, assistant professor of otolaryngology at Stanford University, California and our 2012-2013 AHRF Wiley Harrison, MD Memorial Grant recipient; and Larry Lustig, MD, director of the UCSF Douglas Grant Cochlear Implant Center at the University of California, San Francisco and one of our 2009 grant recipients. What are the major obstacles in developing a treatment for hearing loss? Right now, we have yet to identify what is required to regenerate hair cells in humans. All current experiments and studies are in mice or other animal models, with the best result in birds or very immature mammalian inner ears. In addition, once we have identified agents that may help to regenerate hair cells, we need to deliver these agents to the inner ear in a targeted manner, and we need to make sure that they don’t cause unwanted responses in other cell types, such as causing tumors. Then we need to connect the new hair cells to cochlear nerve fibers. There are thus many steps to work out. On a positive note, I believe that if we could regenerate and connect perhaps 10% of inner hair cells, some usable hearing would be regained. 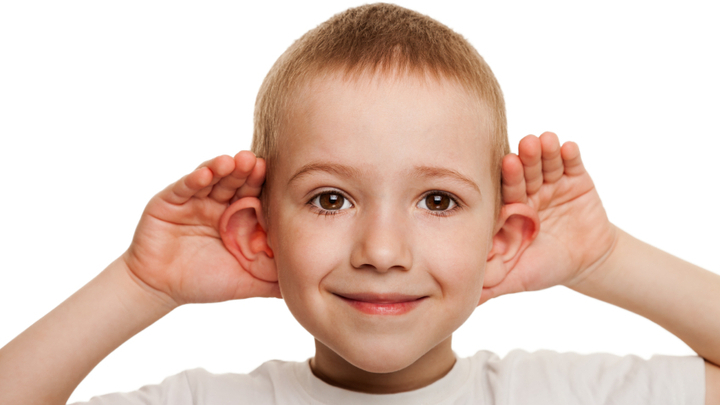 What are the areas you think hold the most promise for hearing loss? 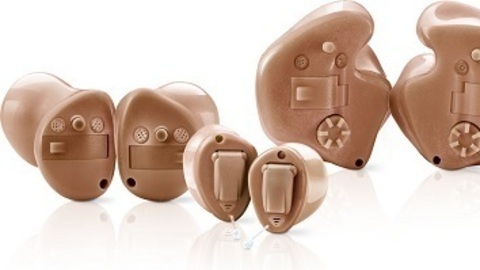 Prevention is clearly the best treatment for hearing loss. There are some promising results using antioxidants and other cell damage pathway inhibitors in preventing hearing loss due to noise trauma, but these agents need to be delivered immediately after the noise, or they need to be continuously administered prior to noise trauma. Delivering protectants systemically (like taking a vitamin) might not be the most effective delivery option, but methods for local delivery to the inner ear are being developed. I believe that this is the therapy most likely to be brought to human patients first. When can we expect a therapy? The short answer for hair cell restoration: whenever a therapy is deemed better than the current standard therapy provided by the cochlear implant (CI). The FDA requires new treatment to be better than the currently accepted best treatment. And the CI is a very effective device that continues to improve. Programming of CIs is becoming more sophisticated and effective. Using steroids during surgery to reduce some of the trauma associated with placing the CI is making recovery faster and better. Methods to stimulate nerve growth towards electrodes of a CI to improve frequency resolution are under experimentation. In fact, beating the CI may be difficult. Preventing hearing loss may be available sooner, perhaps within the next 5 years, and of course an ear with normal hair cells will always be better than a CI. 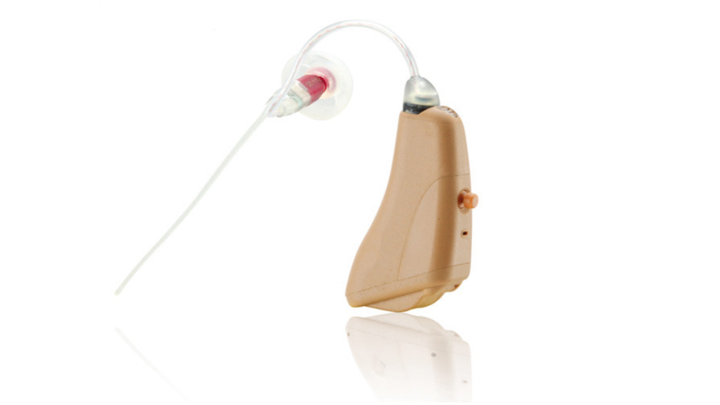 What do you think are the biggest obstacles to developing a treatment for hearing loss? I think that we must know more about the general environment of the inner ear after hair cell loss or noise damage occurs, which is very different from the conditions inside a healthy ear. And these changes may very well differ between a young versus aged inner ears. Knowing more about what goes on in terms of gene activity and protein production after hearing loss will go a long way towards identifying areas of intervention where we can encourage hair cell or neuronal regeneration. Another major obstacle is the disconnect between the animal models used to study hearing loss and humans. Often in animal models, we use a chemical called aminoglycoside to induce deafness. This is only one of the many causes of hearing loss in people, so the results of these studies may not be broadly translatable to hearing loss in people. Studying regeneration in other animal models that mirror other causes of hearing loss in humans is an important research step. What areas do you think hold the most promise? I think that hair cell regeneration holds a lot of promise, but researchers need to keep an open mind towards other areas that may work in concert with hair cell regeneration. For example, does inducing hair cell regeneration restore hearing all by itself, or are there other things that need to happen, and how are they all related? I think that we will begin to have a good handle on the pathways involved in hair cell regeneration in the coming years. The challenge will be translating those findings into therapies in humans, which could take substantially longer. In July, 2012, Dr. Lustig and colleagues published a paper in the journal Cell describing a gene therapy approach they used to treat congenital deafness in a mouse model. Their research is a promising first step towards a gene therapy approach for treating deafness in humans. What are the obstacles to developing a genetic therapy to treat deafness in humans? Researchers need to develop a viable animal model of genetic deafness that more closely matches common forms of genetic deafness seen in humans. The mouse model we used for our study had genetic mutations in a gene that is critical for hair cells to transmit signals to the brain. While we were able to replace the mutated gene with the correct form, and had some recovery of hearing in the mice, this isn’t the kind of genetic deafness people have, so better animal models are very much needed. Also, any genetic therapy needs to be tested extensively for any side effects or unanticipated outcomes. There is a lot of work that needs to be done before genetic therapy will be an available treatment for hearing loss. Children and teens constantly plugged into personal listening devices, such as phones, computers or music players, could be harming their ears without realiz ing it, says a Purdue University audiologist. "High-frequency hearing loss doesn't hurt, so kids don't know they are damaging their ears," says Shannon Van Hyfte (pronounced Hefty) director of the M.D. Steer Audiology Clinic and clinical assistant professor of speech, language and hearing sciences. 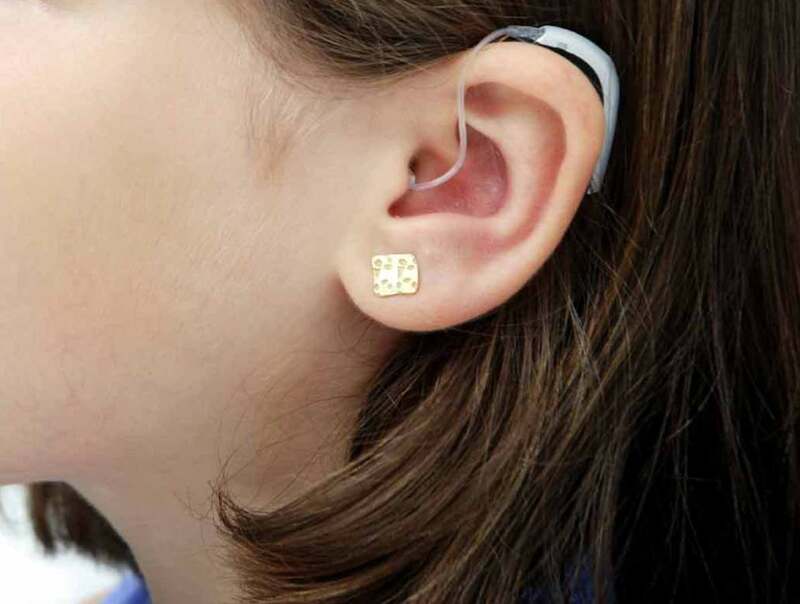 "Audiologists are seeing hearing loss in younger people, and it's not just that they are plugged in, but they are plugged in too loud and for extended periods of time. It used to be that concerts or the occasional loud noise exposure were the biggest concerns for young people, but today it's daily exposure that can have lifelong consequences." Also, that exposure can happen during the school day as children use ear buds and headphones for learning devices in the classroom. A general guide is that a student should be able to hear the teachers or parents while listening to the headphone or ear buds. Additionally, safe-listening headphones can be used which limit the loudness level that can be reached. "Hearing loss can affect children socially and academically, but parents and teachers have the opportunity to teach them the importance of limiting loud sounds and learning how to exercise good hearing health," Van Hyfte says.